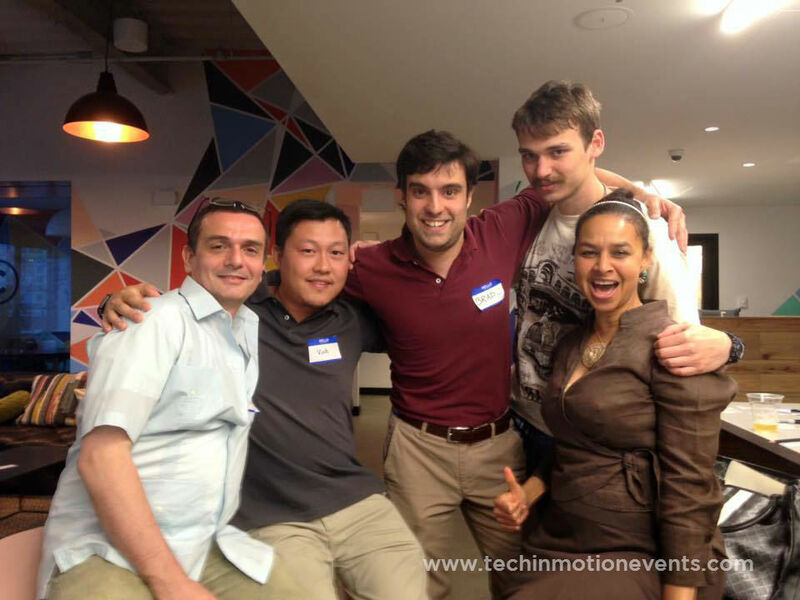 This summer, Tech in Motion Boston hosted the second annual Tech Trivia Night with over 150 local tech enthusiasts at WeWork South Station amid networking, drinks and pizza. Questions ranged from "What does Yahoo! stand for?" to "What does 143 mean in pager code?" Tech in Motion tried your knowledge of local Boston tech companies, tested visual recognition with a logo round, and even threw in a “Throwback Tech” round in honor of #TBT. If you weren’t able to make it, here are the questions from the event. Is your tech knowledge up to snuff? Let us know in the comments below! What does Yahoo! stand for? What was AOL’s original business/ service? In 2014, what was the number one trending search on Google? Disney invested $250 Million in what Boston based company this year? According to the 2015 MA State of Technology Report, women employed in technical roles throughout MA have grown by what percent since 2009? The founder of this MA based company earned three degrees from MIT (1951, 1952, and 1956). The CEO of what MA-based company believes the best ideas come from naps and created nap rooms at the company headquarters? Looking for a job in Boston or one of our ten Tech in Motion cities? Check out open positions here. What does 143 mean in pager code? In what year was the World Wide Web introduced to the public? What does Nintendo mean in Japanese? Although Sony debuted the first portable CD player in 1984, it wasn't until CDs became ultra-mainstream in the '90s that THIS TECH took off. Name as many Tech in Motion panelists, demo companies, and sponsors from the past YEAR as you can in the next 5 minutes! At the end of the night, the trivia event totaled four rounds, worth 20 points total, plus a final bonus round. The competition was fierce, but a few tech connoisseurs came out on top: Congratulations to our winners, “Three guys, One girl,” with a special shout out to the runners up from Metis Communications, “Meetus and Potatoes.” Come to the next Tech in Motion Boston event; join on Meetup here.